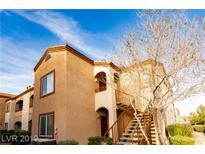 Below you can view all the condos for sale in the Amber Hills At Summerlin subdivision located in Las Vegas Nevada. Listings in Amber Hills At Summerlin are updated daily from data we receive from the Las Vegas multiple listing service. To learn more about any of these condos or to receive custom notifications when a new property is listed for sale in Amber Hills At Summerlin, give us a call at 702-323-5991. Highly upgraded Summln home.5 bdrms,4 bth w/newly updated modern aesthetic feel t/o.This beautifully appointed home features hrdwd flrs,grmt kit w/slab granite cntrs,SS appls,new interior paint.All bths are updated.Lrg upstairs master retreat w/vaulted ceiling, skylight in spa-like bth&custom closet.Yr rnd entertaining w/outdoor speakers,gas built-in grill,firepit,sparkling pool,sep spa,covered canopy&spacious outdoor area. Move-in condition. MLS#2088850. BHHS Nevada Properties. Nearby shopping, freeway, school. Brand New Paint throughout. MLS#2085228. At Your Service Realty. Wow, Beautiful Spacious Condo In A Gated Community Near Summerlin, On The First Floor, Nice Updated Tiles In The Living Room, Laminate Wood Floor In The Bedrooms, Huge Room Size, Updated Tile Surround At Tubs, Two Tone Color, Good Size Balcony MLS#2085092. Nevada Real Estate Corp.
Cvrd patio overlooks interior landscaping not pkng lot. 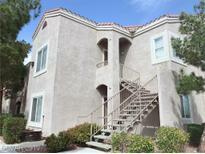 MLS#2081737. BHHS Nevada Properties. 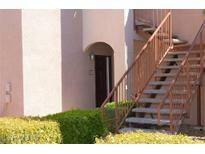 Convenient to freeways, schools, shopping, employment and entertainment. MLS#2079307. Ameropan Realty and Property. Upgraded 1st Floor Condo Unit*gated Community*sparkling Pool & Spa*well-maintained Unit With Laminate Flooring In Living Areas & Tile In Wet Areas*ceiling Fans*spacious Living/Dining Areas*open Kitchen With Breakfast Bar & Abundant Storage/Cabinetry/Counter Space*all Appliances Included*separate Master Suite With Walk-in Closet & Garden Tub/Shower*nice-sized Guest Bedroom With 2 Mirrored Closets & Access To Bath With Walk-in Shower*covered Patio* MLS#2078000. LUXE International Realty. Low maintenance yard and close to schools, shopping, and more. MLS#2069722. Milestone Realty.